This world can whirl around us in dizzying fashion and pace? Our lives can feel as though we are on a CLIMB at breakneck speed. We can run so fast that you, like me, rarely have time to stop, let alone rest? And if I’m talking to you today, I have four simple keys for you that will help you find rest for your soul. You cannot physically CLIMB all the time. Your body requires REST. The SOUL needs rest as well. Our souls can grow so weary that we just want off of the CLIMB, away from people, and walking in the opposite direction of the Divine…and His plan for our success! Here’s the issue that impacts us all: When the daily CLIMB gets overwhelming, we need rest not only for our bodies, but also for our souls. But why does finding rest for your soul matter? Your mind, heart, strength, will, and emotions are all crucial parts of you. You can’t be who you are without them, and you can’t be healthy unless they are healthy. The health and prosperity of your soul is linked to the health and prosperity of your body. But it’s easy to forget about taking care of our souls. We spend a lot of time and money in the modern world working towards achieving healthy bodies, and we should. If we don’t have health, we really can’t live the way the Divine desires us to live—and we would never even attempt the CLIMb, much less reach the summit! Does shopping make us healthy in our soul—even though we often spend too much money, blow the budget, and regret it later? Does drinking our sorrows away really give us a prosperous soul? Does eating so much Ben & Jerry’s that we gain 5 pounds give us a prosperous soul—or does it merely comfort our sorrows for a moment? I really don’t need to offer any further examples, do I? Here’s a thought – Our souls need something other than what this nonstop, chaotic world can provide. True soul care requires things that only God can provide, even though they aren’t all super-spiritual sounding. 1. Quietude. Our souls need to experience quiet sometimes. We need to draw apart to a peaceful, quiet setting—whether that be a beach, a mountain, or a creek, or a car in a parking lot, with nothing on the radio. Quietude allows peace to seep into our pores without any effort on our part. Quietness allows us to rest, to be free from outside stimulus, to be immune to the busyness that usually drives our lives. We must find quiet places to which we can retreat. In quiet places, where there is little to no awareness of time and noise, our souls find peace. And our CLIMB remains joy-filled. 2. Creation. We were formed from the dust of the earth. The Divine took clay from the ground and sculpted the first man, then breathed life into him. When that happened, what used to be earth got up and started walking around, and man became a living soul. We are far more than dirt. We are far more than clay sculptures. God has adopted us and made us His beloved sons and daughters. We were divinely imagined, divinely created, divinely formed and divinely called. Because of our unique connection to the earth, we can find rest in God’s creation that no other place can provide. We need to return to nature more. Even if that nature is a city park, we need to find a place where we can walk on the dirt, hike through the forest, lie down on the grass, or sit by a creek. Nature is God’s original book; His original declaration of Himself to man. When we return to God’s Creation, we find rest. 3. Solitude. Too often, we try to hide our hurts behind busying ourselves with other people. We either don’t want to face God, or we hurt so badly that we are afraid of His work in our hearts. We hide behind the supposed need to serve, care for, or just be around other people. When we refuse to embrace solitude even occasionally, we run from the Divine. There is a lot of healing to be found in getting alone with God. Even a quiet morning walk, a midnight prayer time, or an afternoon alone at the park. Without other people around to distract, we are laid vulnerable an open before our Creator—and He has both the time and the space to work in our souls. He can heal, save, and deliver us from any sort of trouble, anxiety, or enemy—but He often needs time alone with us to get us into the proper position to receive His help. 4. Meditation. Whenever I am whacked out or anxious about something, if I go to the Lord for an extended time of prayer and Bible experience, He always gives me peace. Even if I have to read a chapter or two before anything starts sinking in, I have learned to keep pressing. Eventually, a moment will come and the Spirit of God breaks through the anxiety riddle wall around my heart. When that happens, He fills me with hope, passion, understanding, love, joy, contentment, and peace. Nothing else on this planet can take the place of the God’s Word and Meditation with Him. Our souls need His Word more than we realize. If you’re maxed-out, or distraught about anything, a time of soaking in the Word and conversation with the Divine will do more good than perhaps any other thing.Our souls—are vital. Our entire reality is determined by what we fill our soul with. If we feed our soul worry, stress, anxiety, fear, etc, our lives will never be prosperous inside or outside. BUT – if we teach our soul to find rest in the Divine through Quietude, Solitude, Nature, and Meditation, we can experience true victory in the CLIMB! 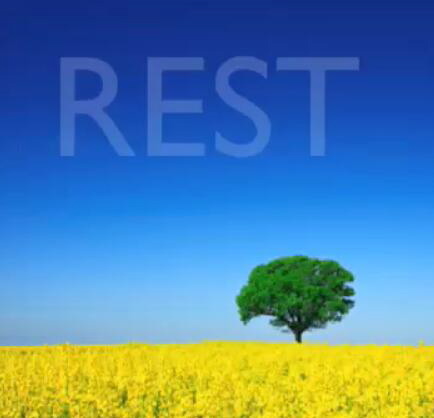 What do you need to do today to find rest for your soul? This Sunday is our Church-Wide Leadership Launch for the hundreds of folks that join me in leading Sugar Hill Church week after week. We were scheduled to meet at 4:0pm. BUT – that was before we knew that the Falcons would be playing for a trip to the Super Bowl at 3:05pm. We can do both! Enjoy your climb this week!